School gardens are a growing phenomenon across the country. 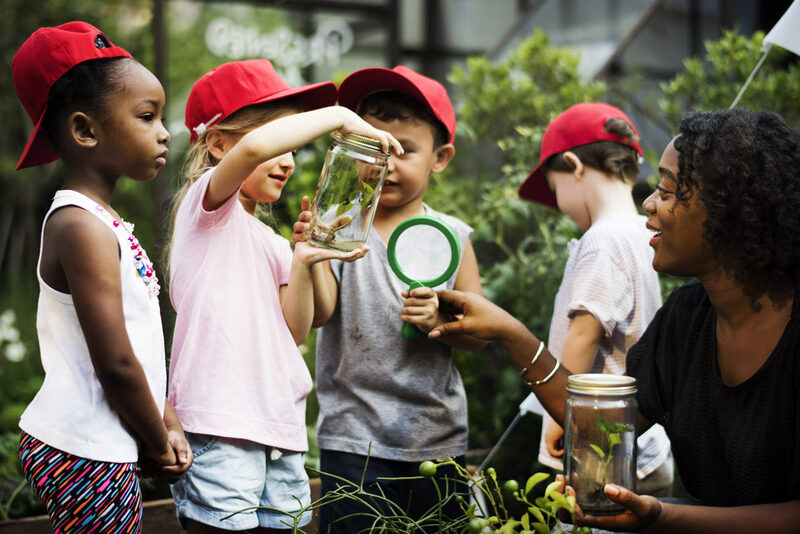 From tiny plots to larger sections of school grounds, gardening provides educators a way to enhance education through practical, hands-on, reality-based learning. School gardens are a chance to show students of all ages the responsibilities and enjoyment of growing their own food. Provide opportunities for hands-on learning, inquiry, observation and experimentation across the curriculum. 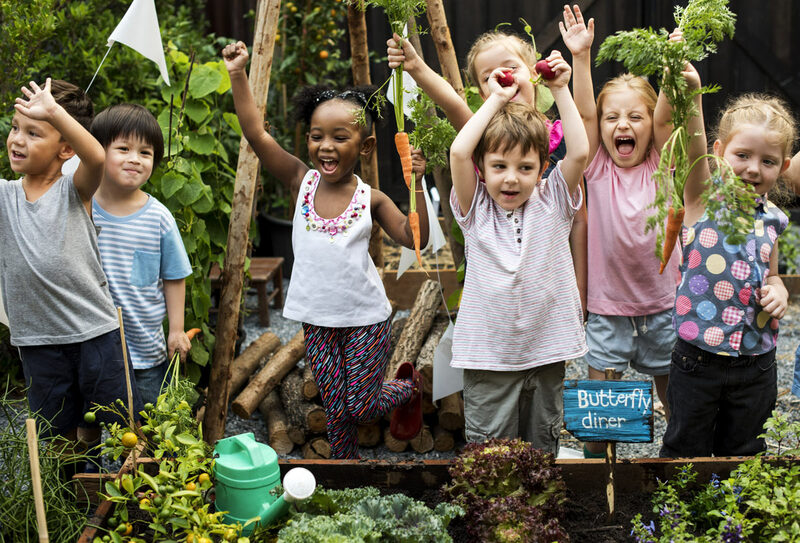 Although science and nutrition are the focus of many garden programs, curriculum ties can also be made to the subjects of language arts, math, science, social studies and art. Additionally, the garden is an excellent location to model sustainable practices and present environmental education lessons. Motivate kids to eat and love fruits and vegetables. Gardens help get students excited about fruits and vegetables and provide countless opportunities to experience and try the foods that are often the hardest to get kids to eat. Promote physical activity and quality outdoor experiences. Many schools are searching for opportunities and space to offer movement to students. 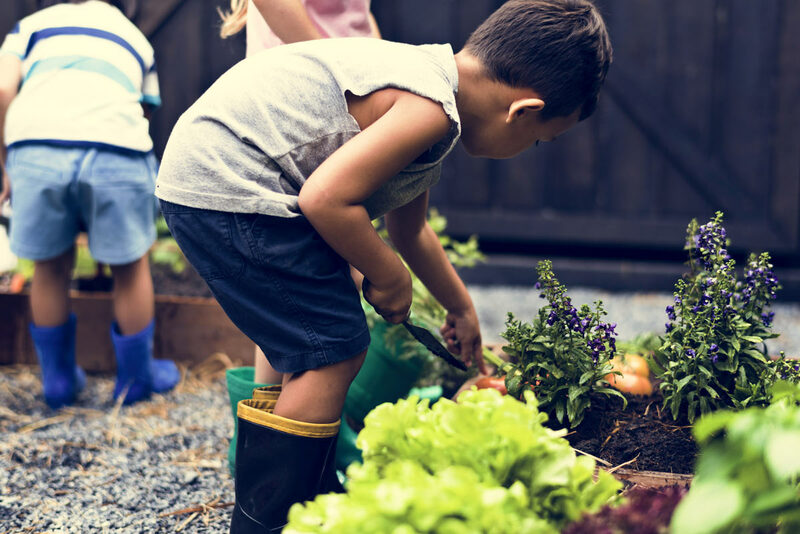 Gardening offers students ample opportunities to walk, lift, carry, dig, plant, and rake, as well as practice balance and dexterity, all while participating in an enjoyable and engaging activity. Supply local produce to the students. The nation-wide growth of Farm to School programs and increasing USDA support of local and regional food systems have made serving local, sustainable produce in school meals a reality. Although school garden produce may not account for a large portion of the produce served in the café, there may be enough of a harvest to hold sampling events. There are many proven benefits to students participating in a school gardening program, including improvement in social skills and behaviors, science achievement scores, change of attitude towards fruits and vegetables, and awareness and installation of respect for nature. The school garden offers a place to enrich teaching efforts with powerful hands-on experiences that make learning come alive. Each school or youth garden is as unique as the school or community that plants it. Gardens come in many configurations ranging from a collection of container gardens or a grouping of raised beds to a half-acre of plowed land. Garden programs can also be conducted using indoor light gardens or greenhouse plantings to accommodate the challenge weather poses in many areas during the school year. So you have been thinking about a school project of a student garden for some time now. How do you begin? 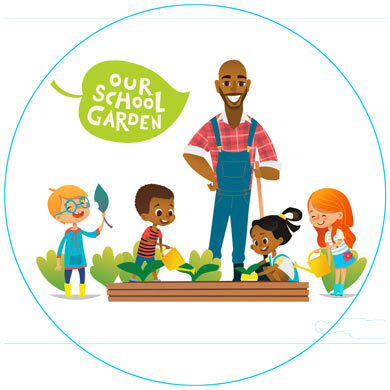 Developing a school garden program comes down to planning and building in three main areas: people, place, and plant care. There is a lot of preparation in beginning a project like this, but let your enthusiasm carry you through to the end. These are developmental points you need to work out with other teachers, parents, and school officials. Decide how much your students can contribute and how much you will need to rely on volunteers. There are many associations online that can assist you with getting your plan together. Most states have their own gardening program information. Here in Wisconsin, the Wisconsin School Garden Network http://wischoolgardens.org/ is an excellent site that includes workshops, events, and resources to get you going. Most counties also have some sort of gardening support. Don’t be afraid to research your neighborhoods. School gardens are not just places for plant science and ecology; they are places for art, music, math and creative writing. In the garden you can teach about sharing and teamwork, as well as the interconnected web of life. Keep in mind that it is best to plan big, but start small. A large project can exhaust the enthusiasm of your students and volunteers. Let them get excited about the success of a bountiful, enjoyable, but small garden; then expand as your confidence and experience increases.